I think most of us remember that the Carl Sagan movie “Contact” left everyone thinking, “Well if there’s no life out there, that’s a pretty big waste of space..” right? Anybody remember that? So I want to take a stab at honestly equipping you on what The Bible actually does say on this topic. Because if you’re grounded in what The Bible does say, you won’t be shaken by what it doesn’t say – or by what it doesn’t necessarily spell out so plainly for us. I’m going to submit to you that Bible does indeed thoroughly equip us for this topic. And I can say this with confidence because of 1 Tim 3:16-17. All scripture [is] given by inspiration of God, and [is] profitable for doctrine, for reproof, for correction, for instruction in righteousness: That the man of God may be perfect, throughly furnished unto all good works. Through movies and TV, contactees and cults, and through BAD religious teachings, millions of people are falling for a lie. My belief is that God says that the scriptures are profitable for doctrine, so that we can be thoroughly equipped to minister absolute truth on this topic, before the strong delusion takes center stage on world events, and the prophetic timetable. We are to cast them down, and not let what we can imagine exalt itself against the knowledge of God, and His word. Romans 1:21 says, that our imaginations can cause us to become vain, and hearts to become darkened. that ye may prove what [is] that good, and acceptable, and perfect, will of God. So I want to invite you to suspend what your own imagination, your own understanding, and what the spirit of this age and this world are actively suggesting to you about life on other planets. There does SEEM to some to be a void in the Bible on this issue – it doesn’t seem to say, I know, I’ve heard it all before. But I believe that if we acknowledge what God’s Word does say, trust that it is profitable for doctrine, and let Him renew our mind on this topic, then hopefully He can direct your path. I hope to equip you with the ability to speak from a truly sound understanding of what the Bible says on whether there’s life on other planets or not. I’m going to suggest to you something I’m calling “The Principle of Stated Intent” – I made this term up by the way, maybe it’s inspired, maybe not. But I think you’ll agree that just every now and then, we read a passage in the Bible where it seems like God goes out of His way to make sure we “get something” He’s trying to say. Occasionally, it’s as if the Holy Spirit, through the human author, goes out of His way to explain something really important. As one example, I think of Paul, who wrote 2/3rds of the New Testament. And only once in all of his writings and the entire Old and New Testaments combined, Paul, inspired of the Holy Spirit, actually plainly state to us what in the entire Bible is of first importance. ‘I delivered unto you FIRST OF ALL that Christ died for sins, resurrected from the dead, and there’s over 500 witnesses to that fact.’ First of all, of first importance, God’s Spirit goes out of His way with a “stated intent” that this is the most important information you need to know about the entire Bible; the message of the good news of Jesus Christ. There’s a couple of other places where I think God goes out of His way to state for us His intent. God states of the earth… throughout the Bible God states *only* of the earth… that He created it to be inhabited. When He tells of the creation and the purpose of the stars, “to be inhabited” doesn’t even make the list. And you saw it, there is a list! If even part of God’s purpose for creating the stars (and any other lights in the heavens) was to give light or warmth to people on other planets, or to be inhabited by other biological life, then while God was actually giving us a list of reasons why the stars were created, you’d think these purposes would have at least made the list. God says plainly and simply though that He “formed the earth to be inhabited” – all the other stars and heavenly lights’ biblically stated purpose is to “mark the seasons and to give light to the earth” – to it’s “inhabitants” – and “to the earth” is also specified. The Bible says that they exist for us. I know that nobody can ever point to an exact passage in the Bible that says there’s NOT life on other planets… I’m simply asking you to let your faith rest entirely on what God does say to settle this for you doctrinally. This verse shows God finished making all the host of the earth, AND all the host of heaven, by the end of the 6th day. But that is not what this verse says. This verse says “(the host of) them“, indicating BOTH the host of the earth, AND the host of the heavens. So, who are the host of the heavens? Who are the life in the heavens? The Bible does tell us about the “host of heaven”. 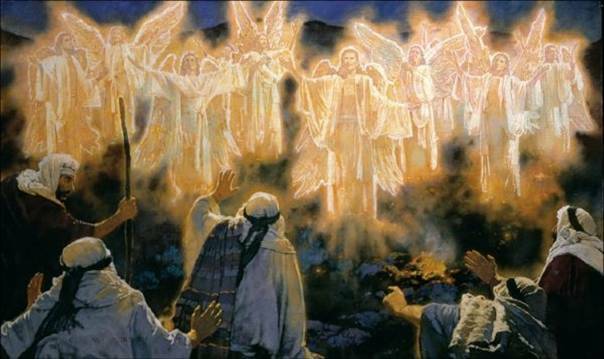 From this we know that the host of heaven can talk, are of the spiritual realm, and at times were at God’s throne. Here we see the host of heaven can worship God. And we see a confirmation that they are alive, in the parallel – that heaven has hosts, just like the earth and seas have hosts, or life. The verse that most clearly defines the host of heaven is in Luke 2, in the story of the shepherds and Jesus’ birth. 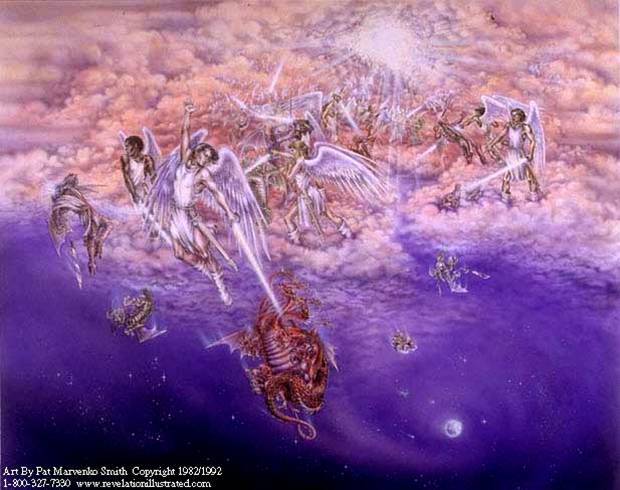 The “angels” here are described just prior, as a “multitude of the heavenly host”, showing these terms are synonymous, and both refer to the same beings, the angels. 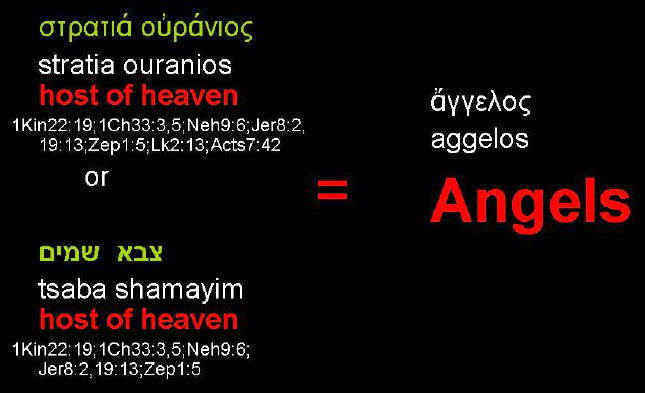 This is also made clear in the Greek and Hebrew used throughout the Bible. In the Greek, the term in Luke 2 for “host of heaven” is “stratia ouranou”, and this is the same term used in 1 Kings and Nehemiah, in the Greek Septuagint, corresponding to the Hebrew term “tsaba shamayim”, or the “host of heaven”. This is the same terminology used in Genesis 2:1, When God created the heavens and the earth and all the host of them. So who are the host of heaven? They are angels. They are the only life in the heavens that the Bible defines. 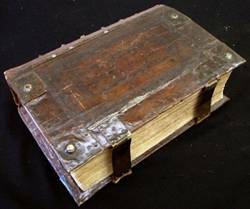 It is NOT that the Bible does not speak of sentient, intelligent life in the heavens, as some say… It is NOT that the Bible is totally silent, as some say. The Bible does speak to the fact that God did indeed create life in the heavens – the host of the heavens – and the Bible specifically defines that life as being angels, and nothing else – not biological lifeforms like us. 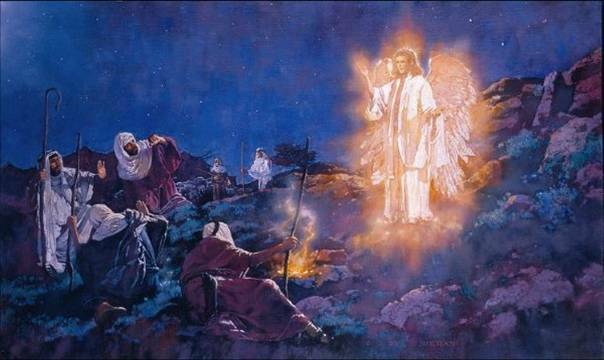 “And of the angels he saith, Who maketh his angels spirits, and his ministers a flame of fire. “And she brought forth a man child, who was to rule all nations with a rod of iron: and her child was caught up unto God, and [to] his throne… And there was war in heaven: Michael and his angels fought against the dragon; and the dragon fought and his angels, And prevailed not; neither was their place found any more in heaven. And the great dragon was cast out, that old serpent, called the Devil, and Satan, which deceiveth the whole world: he was cast out into the earth, and his angels were cast out with him… Therefore rejoice, [ye] heavens, and ye that dwell in them. Revelation 12 makes clear that the current location of the fallen angels is in the locality of Earth – they are no longer in the higher heavens. 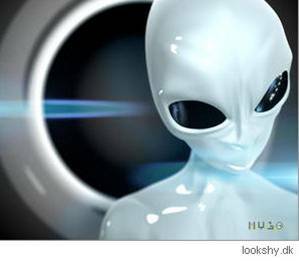 They are now located here on Earth, not on other planets, not in other galaxies, they are here. This is also seen in Ephesians 6:12 – the powers and principalities that we wrestle with are the dark rulers of THIS world. And I’m submitting to you that they are today claiming to be aliens. But whether you’re a Christian pastor, a Christian teacher, or just a Christian who might get asked what THE BIBLE SAYS about life on other planets, I’m imploring you to teach sound doctrine, without letting your imagination take you beyond what is written. 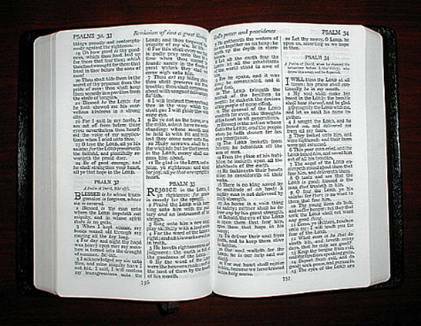 As Christians, I simply think we have a responsibility to teach only what God’s Word does say, and nothing more. God can do anything yes, “nothing is too hard for God”, that’s biblical. But when it comes to teaching, we are compelled and constricted to impart God’s word alone. The Bible does say that God created life other than what’s on the earth. He populated, or inhabited, the earth with biological life forms, and he populated the heavens with angelic life forms. But my point is, contrary to what you’ve heard, thought, or perhaps even taught, the Bible is not silent on this issue. You may not immediately agree with the full implications of what it says, but this is indeed what it says. It goes against the spirit and the wisdom of this age, I know, but God calls our wisdom foolishness (1 Cor 3:19). I know it goes against our natural understanding of how things should be, but the things of God almost always do. Remember, just the price of admission to this ride is believing that a man rose from the dead – you think it’s supposed to start making MORE sense once you’re in all the way? No – it makes less sense; “Give if you want to receive,” “Don’t return evil for evil,” “Bless those that curse you…” Remember He says, His thoughts are not our thoughts, and His ways are higher than our ways. That’s Isaiah 55, the passage that ends by saying His Word will not go out and return void – and that’s what I’m hoping to send you out with today – what His Word says. 2. Only the Earth is stated as “created to be inhabited”. Those are all true statements, and they are all sound doctrine. The Bible exhorts us to speak sound doctrine, even though in the latter times many people will not endure sound doctrine. As individuals, you and I can believe whatever we want; it’s arguably true that we’re all entitled to have our own personal opinions on some things. But I want to point out, if you’re maintaining the open-minded opinion that there IS life on other planets based solely on that fact that God could have created life on other planets, if He so chose – well, you’re going from what may be true, to accepting it as truth in your everyday walk. And I just caution those of you that are Christians, that you might be letting your own private interpretation come out of your mouth at times. My goal is that you might be equipped for ministry, and therefore I feel it’s important for me to try and help you close the door to thinking like most of the world today already does, according to polls, and to encourage you to believe and teach what the Bible does say on this topic. I feel it’s especially incumbent on Christian leadership – pastors, elders, teachers – to do so, because of what the New Testament warns about will be the extra-tough judgment on teachers. And remember, Jesus said that we would ALL be judged by every idle word that comes out of our mouths. I think it’s more in line with what God HAS expressed in scripture on this topic to at minimum say that “there’s nothing in the Bible that indicates there is life on other planets” than to say “well maybe, because God can do anything” – that’s just natural thinking that doesn’t reflect anything The Bible states about the purposes of the stars, planets and other lights in the heavens. Nor does it reflect the only thing the Bible does say about life God created in the heavens – that the host of heaven are angels. There is a bigger picture of why the Church’s answer to this question is so important. 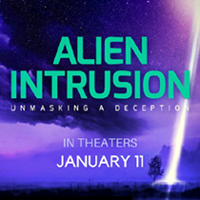 The expert, majority opinion of Christians who have studied the alien phenomenon extensively, is that what the world popularly calls “aliens” today, is in fact deceiving spirits, teaching doctrines of devils. And also that they are setting the world up for a strong delusion that will embrace the New World Order, one-world government, anti-christ ruler when he appears. To the point, other than going against our natural thinking, what God’s word says on this topic goes against the coming Strong Delusion. The reason this strong delusion is going to be effective to deceive the world is precisely because it makes so much sense – to worldy thinking. Polls from 50 years ago, did not even reflect that 1 in 10 people believed in life on other planets, much less that it was visiting us. Now polls reflect that 6 in 10 people do, with the 17-24 year old crowd having 7 in 10 who believe in life on other planets. And 4 in 10 people believe that ET life has visited earth or is visiting it! Something’s definitely happened. It’s a Strong Delusion. That would be sound doctrine. That would be the words coming out of your mouth being in agreement with God’s word. The smaller picture as to why your answer to this question is so important, is that just because you’re a Christian, sooner or later it’s very likely that some lost soul is going to come to you with their questions about UFOs and aliens, and you may have no idea how important your ready answer to their question is to them personally, or even to their eternal destiny. I can tell you as a former abductee, that when I was 22 years old, lost as all get out and nearly suicidal from the madness these entities had inflicted in my life, that the way a Christian answered me when I brought my question about aliens to him, is why I’m here today. He didn’t know that I was a closet abductee when I asked him, but his answer made all the difference in my life. I’d be in a cult, or much worse off, if my Christian friend Leon had shied away from the truth, and given me the culturally popular answer that’s based on imagination and human reasoning, and simply told me he supposed God could do anything if he wanted. But not every person out there in need of truth has received a solid answer of Biblical teaching from Christians and the Christian Church on this topic. For example, an abductee named Ann Brooke wasn’t so lucky. I’ve been researching and teaching on this material for 13 concentrated years, and I just want to you to know that leaving the door open for a belief in extra-terrestrial biological life always leads to bad fruit, and New Age cult thinking. Folks, Ann Brooke is a casualty of a cosmic spiritual war, of which there are eternal ramifications and losses. We at Alien Resistance are here to report to you from the front lines of that war.